This fits in the hole in the inner cover. Full-length one-piece pants, top, and veil. Includes a smoker, veil, helmet, hive tool, and a bee brush. 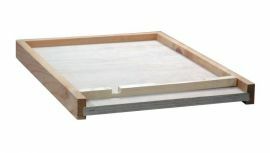 Screened bottom board for increased ventilation. 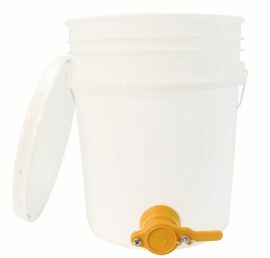 White food-grade BPA free 5-gallon bucket with lid and a bottling spout. White food-grade BPA-free 5-gallon bucket with lid. 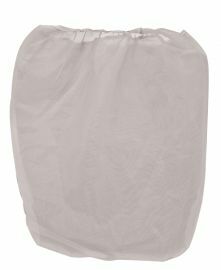 A fine nylon mesh bag large enough to line a 5-gallon bucket. Everything you need to start a new colony. 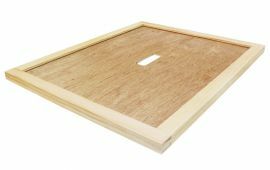 Includes a bottom board entrance reducer, two deep supers, two medium supers, frames, foundation, an inner cover, and a telescoping cover. The components easily fit together and can be secured with wood glue and small nails (not included). Everything you need to start a new colony. 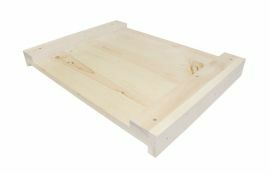 Includes a bottom board entrance reducer, two deep supers, two medium supers, frames, foundation, a specially designed wintering inner cover, and a telescoping cover. The components easily fit together and can be secured with wood glue and small nails (not included). 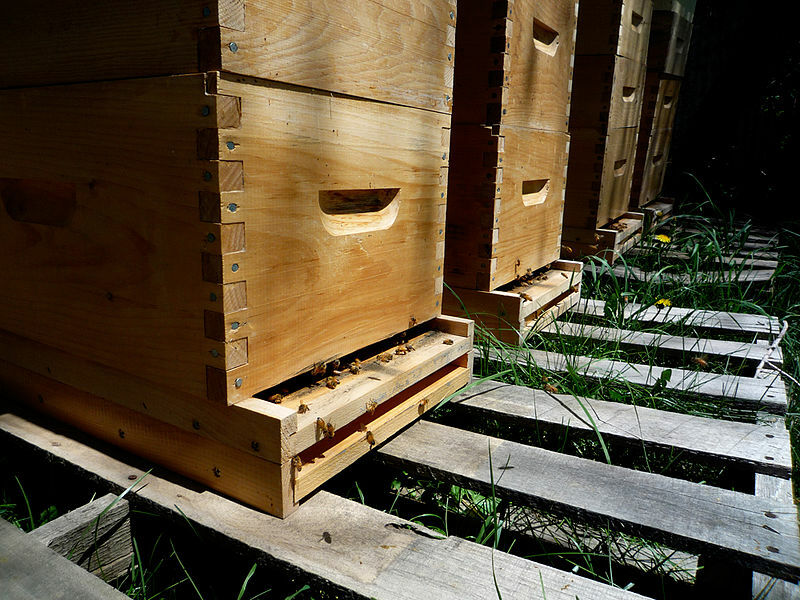 This cover is made out of high-density Styrofoam and fits the Beemax hive. Seals the top of the beehive. This cover is a decorative copper A-frame slanted roof. A stainless-steel centrifuge that removes honey from uncapped frames. This hand-crank radial extractor can hold 18 medium frames or 9 deep frames. 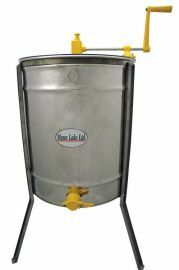 A stainless-steel centrifuge that removes honey from uncapped frames. 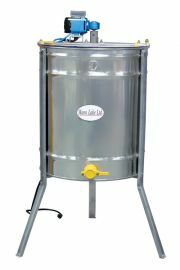 This radial extractor can hold 18 medium frames or 9 deep frames and is powered by a 120-volt electric motor. 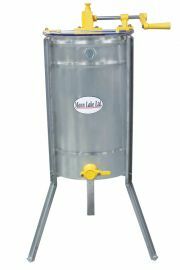 A stainless-steel centrifuge that removes honey from uncapped frames. This hand-crank extractor can hold 6 shallow frames radially or 3 deep or medium frames tangentially. 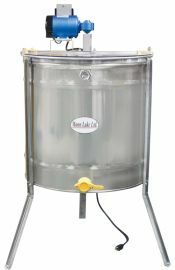 A stainless-steel centrifuge that removes honey from uncapped frames. This hand-crank extractor can hold 8 medium frames radially or 4 deep frames tangentially. 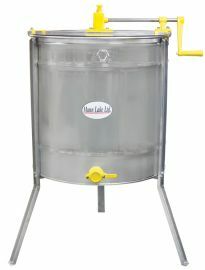 A stainless-steel centrifuge that removes honey from uncapped frames. 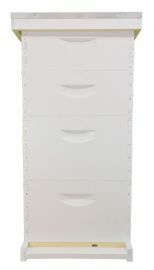 This extractor can hold 8 medium frames radially or 4 deep frames tangentially and is powered by a 120-volt electric motor.